When I visited the Great American Beer Festival a few years ago, I was impressed with lots of things. The hoards of bearded beer bros. The wonder of Denver. The tartness of sours. The bitter hops that can be packed into imperial double ULTIMATE IPAs!! 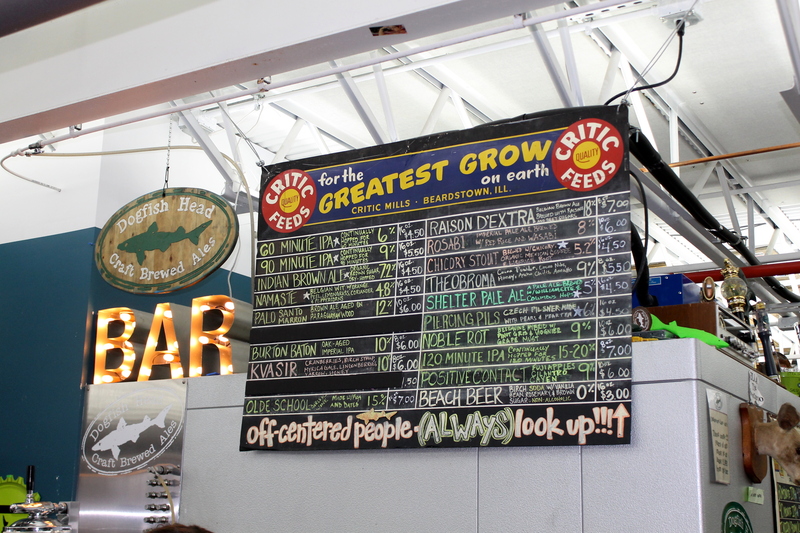 But something else struck me… The line for the Dogfish Head stand. It seemed to span a mile! WHAT WERE THEY ALL WAITING FOR?! Before I’d even started my fourth pour, it was time to tour! And I have a confession…. The tour was (at least the portion we were on) dreadfully dull. I have a feeling it isn’t always this way, but we got shafted by a tour guide who somehow managed to make my absolute favorite topic boring, while periodically making me feel weirded out… Claire put it best, saying that Lars (our tour guide) left us feeling like his entire spiel was a long joke that never got the punchline, and never really taught us anything about what makes Dogfish Head special. Not for lack of looking! It’s okay. Their website can tell you plenty. All we knew was that, after about 30 minutes of saying what felt like nothing, we had to get outta there. One day I’ll get a new hat. but that day isn’t today. 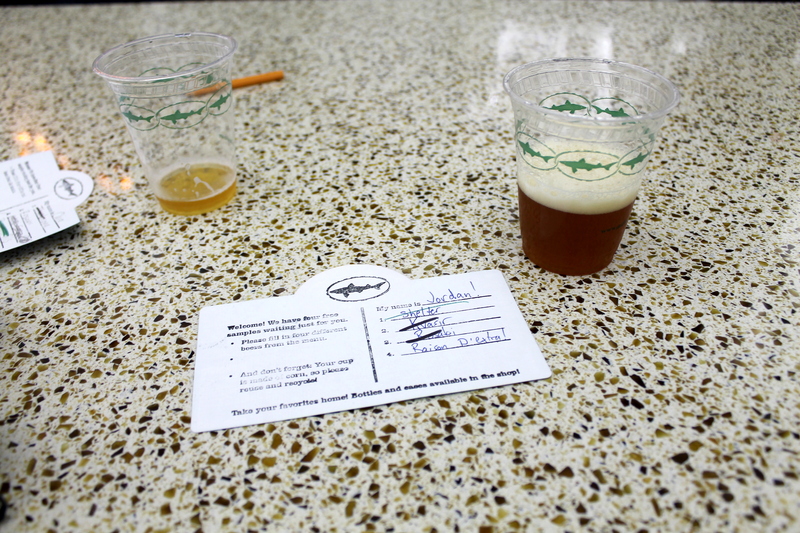 Lucky for us, Dogfish Head’s Brewpub is in Rehoboth Beach, a mere 25 minutes away. So we hit the road for some eats and dranks. 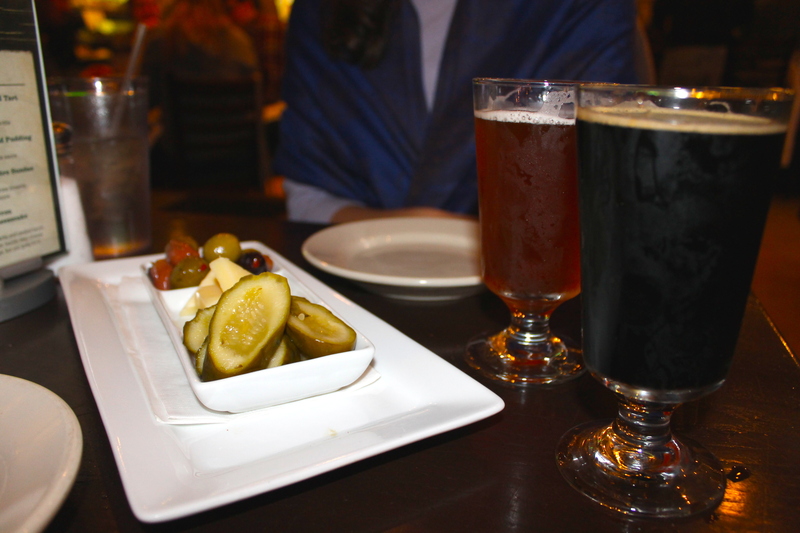 Pickles, cheese, olives, and beer: What else could two gals ask for? 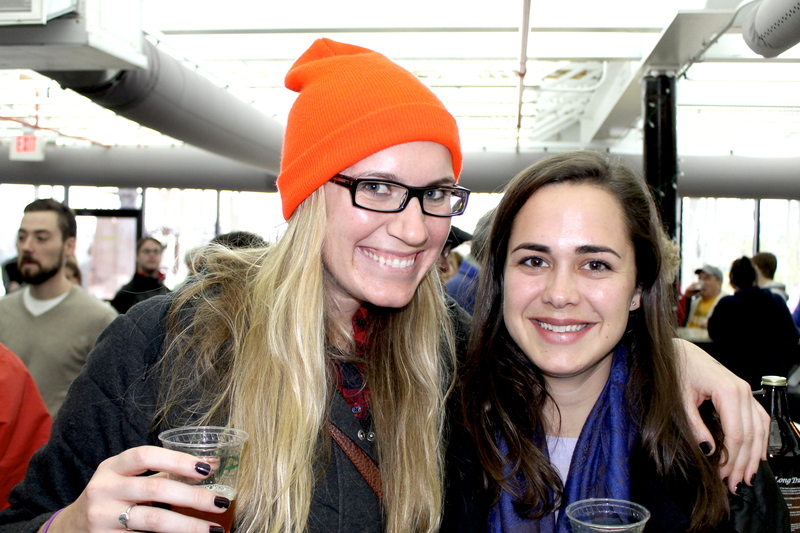 The beers were brewpub exclusives, Pennsylvania Tuxedo and Analog, and they were world-rocking. Claire had the higher ABV since I was driving, but we both made sure we didn’t leave empty bellied…. 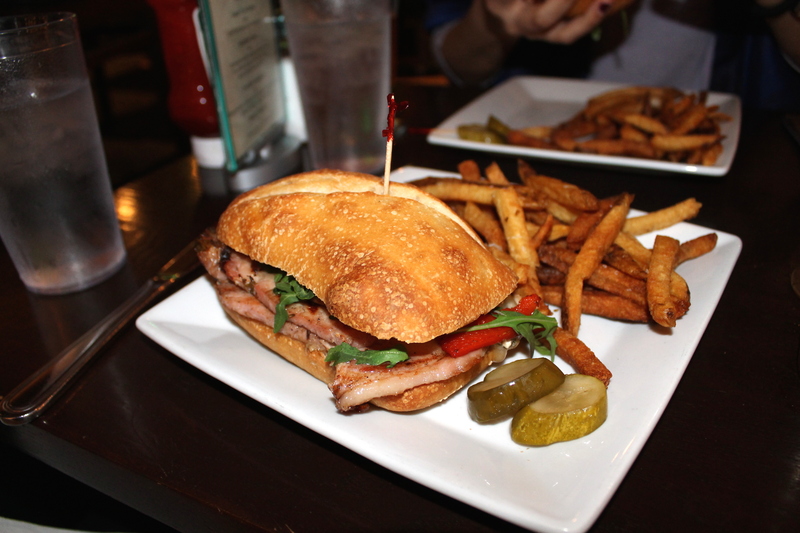 We each got a porchetta sandwich with MORE PICKLES (quickly becoming something I seek out, don’t offer to dining partners! #growingup), arugula, roasted (or was it “blistered”) red peppers, and a rich aioli that I don’t even really remember beyond just stifled moans of enjoyment from both of us. We both left proud members of the clean plate club, stoked that our DFH dreams came true, just a little distance away from where we thought they would. I’ll always have a soft spot in my heart for those off-centered ales, and with a setting like this outside…. well, I still recommend a visit! It was still a solid day trip, and if you’ve got the time (especially in the summer) worth the trek! 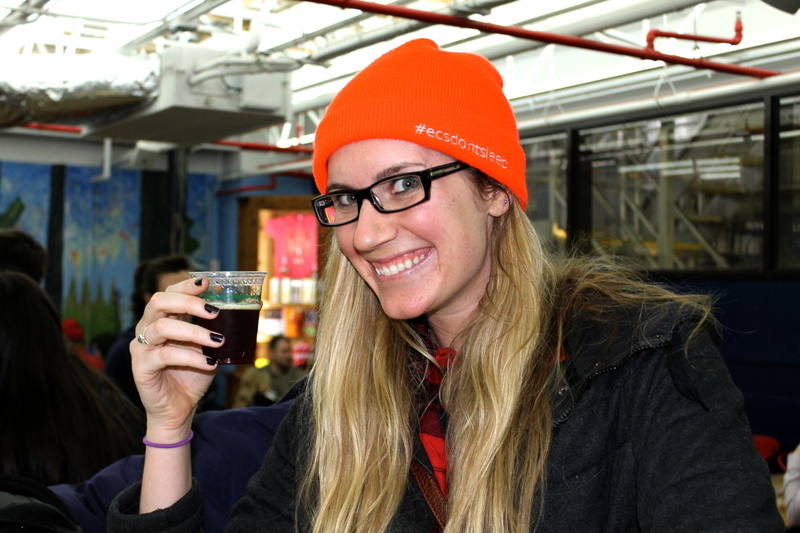 Best brewery tour you’ve ever taken? 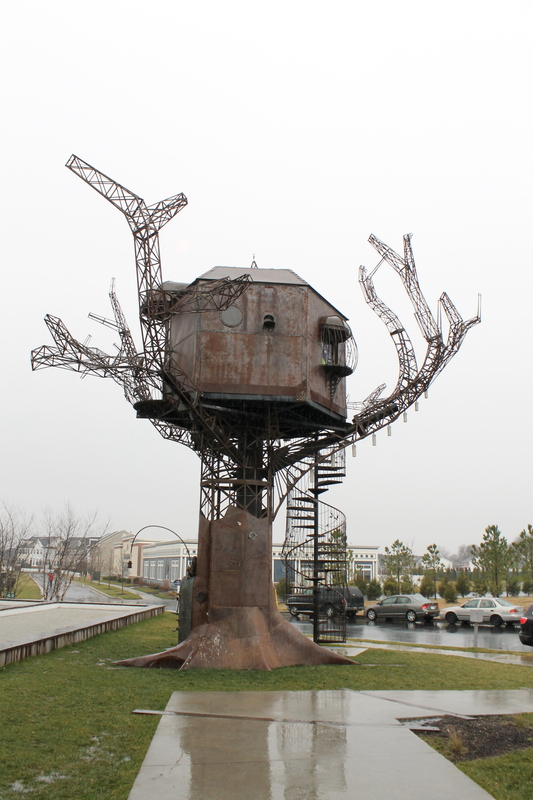 I’m not a huge Dogfish Head fan, but I’d definitely love to visit someday. Though that’s really too bad the tour wasn’t very good! I feel like once you’ve done one tour of a brewery you’ve done them all. Just me? I don’t know…The food looks great! I’ve actually never toured DFH even though I’ve been to the brewery a ton of times. I love running their 10K Dash in the fall. I do plan to do a tour someday, mostly to check out their science lab. 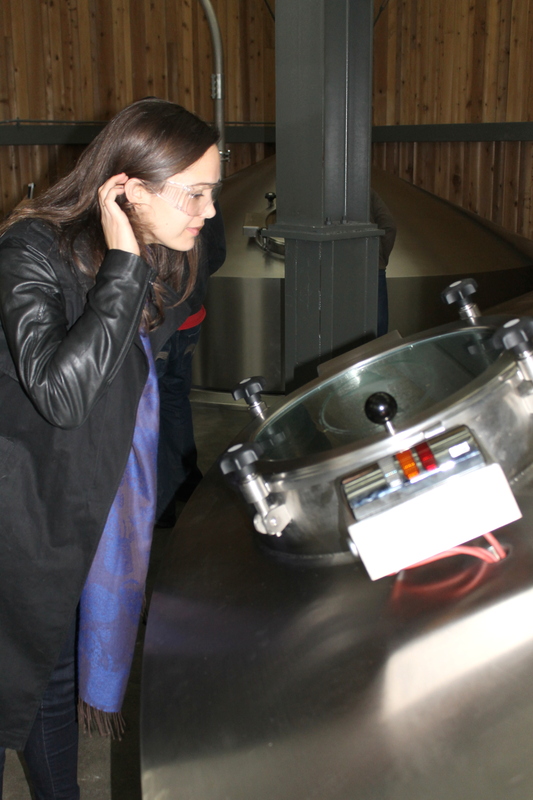 😉 My favorite brewery tour experience is definitely BrewDog, but I got the insider look!